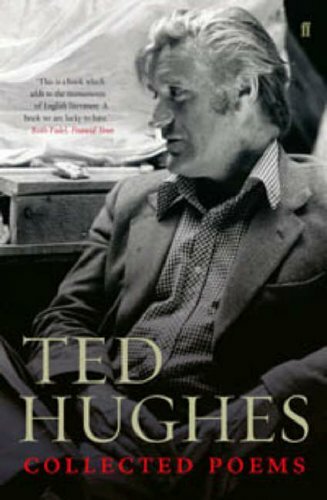 Ted Hughes (1930-1998) is a brooding presence in the landscape of 20th Century poetry, not unlike the six hundred feet-high Scout Rock which overshadowed his Yorkshire childhood. Hughes' early experience of the moors and his industrially-scarred surroundings were the keynotes of his later poetic imagination: an unflinching observation of the natural world and the shaping, often damaging, presence of man. Also important in moulding his sensibility was the strong dissenting tradition of this part of the world which would later feed into Hughes' critique of the utilitarian rationalism of Western culture. Hughes grew up in Mexborough, a coal-mining town, and in 1948 won an Open Exhibition to Cambridge University. He began by studying English, but switched to anthropology: his encounter with the poetry and folklore of primitive societies would also be an important influence. Whilst at Cambridge Hughes met the talented but already emotionally vulnerable American poet, Sylvia Plath, and after a passionate romance they married four months later. 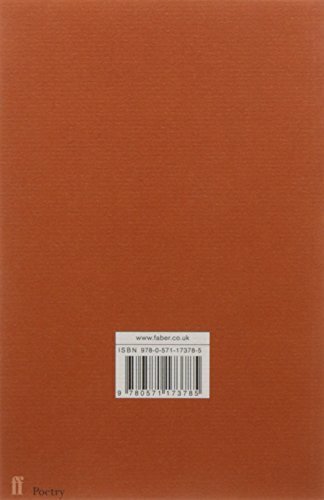 Plath's drive and faith in her husband's ability hugely contributed to the publication of his ground-breaking first collection, The Hawk in the Rain (1957). This made an immediate impression, not least because it constituted such a profound shift away from the restrained language and ironies of the Movement generation of poets that preceded Hughes. With its harsh rhythms and diction, influenced by Anglo-Saxon, and its vivid, grandiose imagery, The Hawk in the Rain showed Hughes was prepared to risk greater claims for poetry and to celebrate what the Movement poets thought should be repressed; primitive energy and the power of the unconscious. After a period spent teaching and writing in the United States, Hughes and Plath returned to England in December 1959. The following year saw the publication of Lupercal which sealed Hughes' reputation as a major poet and includes many of his most popular evocations of animals, including the Archive-featured 'Pike'. His growing professional success was, however, at odds with his personal life; by now Plath and Hughes had had two children, but her jealousy and mental instability had begun to drive a wedge between them. Hughes began an affair with a married woman, Assia Wevill, and separated from Plath. Left alone with the children in a London flat, Plath's growing despair is immortalised in her final book, Ariel, and she committed suicide in February 1963. Further personal trauma was to follow for Hughes when Wevill also committed suicide, taking their daughter, Shura, with her in 1969. These events and the furore around his relationship with Plath in particular never died down, and perhaps explain Hughes' reluctance to live in the public eye, even after his appointment as Poet Laureate in 1984. 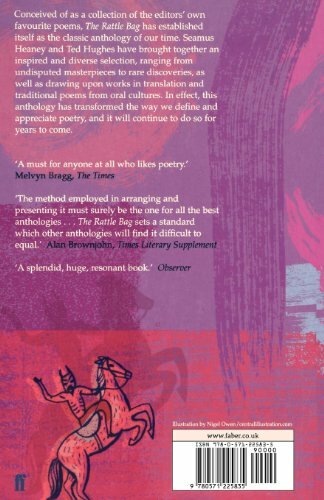 It's not surprising that his fourth book published in 1970 is also his darkest: Crow, with its greedy, violent protagonist is written in a slangy vernacular and draws on the dark fabulist tradition of Eastern European poetry which Hughes did a great deal to bring to British readers' attention. In 1970 Hughes married Carol Orchard and finally settled in her home county of Devon where he became a farmer and began to enjoy the domestic peace which had eluded him previously. 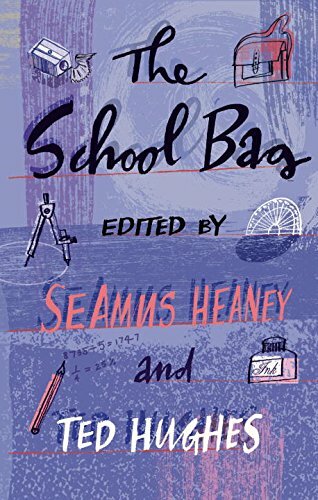 His passionate belief in writing for children prompted a collaboration with Seamus Heaney on two best-selling anthologies, The Rattle Bag and The School Bag. Hughes was also the presiding influence behind the establishment of the Arvon Foundation to promote creative talent through residential writing courses. Hughes' creative energies remained high, producing acclaimed collections including, just before his death, The Birthday Letters (1998), which revisited the fraught territory of his first marriage with searing honesty and tenderness. Hughes' Archive recordings demonstrate his legendary qualities as a reader of his own work, his deep tones and flinty accent forming a perfect compliment to the hard music of his work. One of Hughes' most famous poems, 'The Thought Fox' demonstrates the inextricable relationship between the poet's imagination and the natural world, the paw prints of the fox in the snow becoming the marks of the words on the page which describe them. The creative process in this poem is akin to a kind of hunting, an analogy Hughes made explicit in a BBC broadcast called 'Capturing Animals' from which his reading of 'Pike' is taken: like the angler, the poet must hunt his subject with patient concentration. 'February 17th' from Moortown Diary (1989) demonstrates a different method of composition, with Hughes recording his impressions of an event in a kind of spontaneous rough verse. Throughout his career, Hughes seldom used strict form, being more interested in the raw energy of the moment of witness. This poem is an extreme example of his favoured technique, its bleak and beautiful music revealing the harsh realities of life and death through one small happening on a Devon hillside. Visit Ted Hughes' page on the BBC site.